Some people are interested in the tranquility of water, some are interested in the adventurous trips, some want to bury themselves deep into the ancient sites, architectural miracles and scenic beauties. If you think, it’s very unlikely to see any two have the same taste, take a look at our list of most beautiful places in the world. These places are liked by every eyes that see them. Trust me, out of all planets, our earth is the most beautiful one. It already has loads of breathtaking places, but we the creative mankind has made some too. Take a look at all the amazing places listed here. I bet every single place will fill your naked eyes, warm your heart and take your breath away. When it comes tolist the most beautiful places in the world, it’s just goes impossible to pick one as the best of best. So these places are not listed in any chronological order.Browse through the entire list and give a special treat to your eyes and heart. A picture is worth the thousand words. So let’s don’t go too verbose. Pack your bags. Let’s go and indulge ourself into the beauty of mother nature. 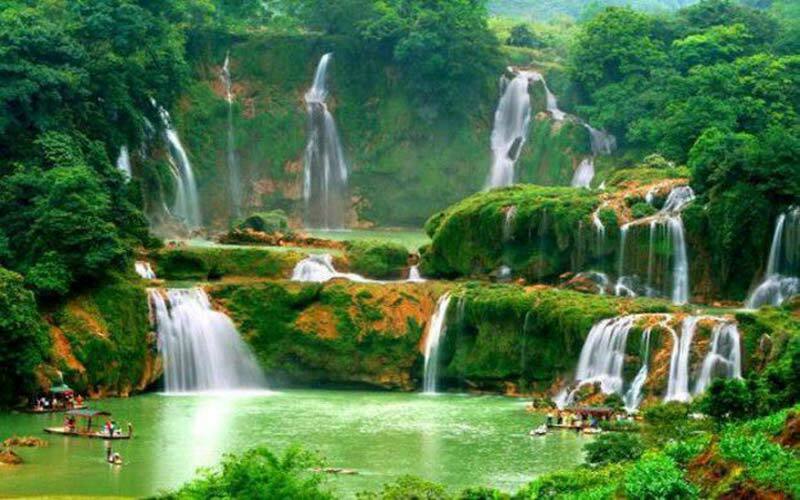 Detian Waterfall is situated in the Sino-Vietnamese border and is ranked as the largest transnational waterfall in Asia and it is also the fourth largest transnational waterfall in the whole world. It takes approximately 3 hours to get from Nanning city to the location of the waterfall which is the main highlight in scenic area of the Detian waterfall. Visitors to this area are able to enjoy the cascade groups as well as engaging in fishing or boating right at the foot of the mountains which surround. Originating from the Guichun River, The Detian Waterfall passes Vietnam and winds back Guangxi Zhuang Autonomous Region. Excluding this place from the list of most beautiful places in the world would make this post look total absurd. Santa Marta is South America’s oldest surviving city. It is also an important colonial city situated on Colombia’s Caribbean coast. Despite its history, Santa Marta is known to have terrible traffic and for that reason people tend avoid this area. Santa- Marta has numerous hotels, bars and restaurants with a number of superb destinations nearby to visit during the daytime. Santa Marta has seen a renovation of the Parque de los Novious and several streets in the center of town pedestrianised adding to its charm. Located in Nevada behind some locked gates on private property, the Fly Geyser is not a natural formation, rather it was created by accident during a well drilling. The well was created in an attempt to find the mineral sources. The dissolved minerals accumulated and rose creating a mound of limestone that continues to grow. The Fly Geyser is unique and strange in appearance meaning it is met with mixed feelings of both awe and scepticism. The Wave is located in Arizona in the Coyote Buttes North area of the Arizona Strip. This most beautiful place is a sandstone formation of rocks which is famous amongst photographers and hikers due to its colourful and undulating forms. In order to reach its top, Hikers must master a rugged trackless route. This can also make the wave difficult to locate. Hikers adopt to choose their own route across an open desert conquering exposed sandstone, sand wash bottoms and sand dunes as they go. Also known as “Lac Rose,” this lake is situated north of the Cap Vert Peninsula of Senegal. The water in Lake Retba has constantly changing hues, but the most interesting is a stunning pink shade that appears during dry seasons. Lake Retba has a very high salt content and is regularly visited by salt collectors who protect their skin from the salinity by covering themselves in shea butter. During the wet season, the lake is not as pink due to rainwater which contributes to diluting the salinity. The lake is separated from the Atlantic Ocean only by a very narrow corridor of dunes. Located in China the Jiuzhaigou Valley boasts dreamlike scenery and consists of a unique combination of lakes, verdant forests, waterfalls and snow covered mountains. It is located in Nanping which is approximately 280 miles north of Chengdu city, Amongst Tibetan people; it is known as a holy mountain. In 1992 Jiuzhaigou Valley became part of the UNESCO World Heritage Site. The name Jiuzhaigou comes from the nine Tibetan villages that lie within the valleys of the area. The neighbourhood of the Valley is a residential area of Qiang people. The Tibetan tribes residing there can be visited. The closest airport to Jiuzhaigou Valley is Sichuan Jiuzhai Huanglong Airport, which boasts the fifth highest altitude in the world. 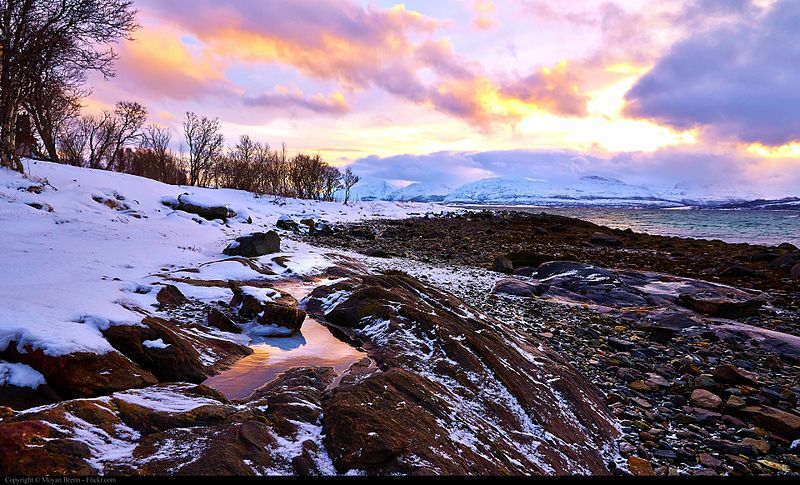 Located in Iceland Skaftafell National park is made up of rugged landscapes, glaciers and mountains. Skaftafell is a preservation area and was previously a manor farm over the years the area has increased to a point it now includes a huge part of Glacier Vatnajokull. The park offers an opportunity for a number of different hikes despite not having roads. There are also sufficient grounds for camping. During the summer months park rangers are at hand and offer guided walks and they provide additional events such as children’s activities and lectures. To make a point, this amazing place has so much to explore. Situated in Brazil the name means the “bedsheets of Maranhão”. From the air the dunes can be seen which can only be described as an amazing site of shimmering white sand. They are situated on the tropical northeastern coast. At first glance, the Lencois Maranhenses National Park has been described as resembling a archetypal desert. Frozen waves in Antarctica are a spectacular site and occur when a tidal wave caused by the glaciation freezes ice formations over long periods of time. The color of the ice is known to be an estimation of the strength and the duration it has been frozen for. Frozen waves is situated on the continent of Antarctica and cover the South Pole. Sadly this beautiful place let only cold adapted plants and some animals to survive there. Located in Ukraine, this tunnel of love is built as a train station that eventually turned as the most romantic place on earth. As the shrubs and trees on this path were allowed to be grown freely, the passing trains are only things that shape its way. This beautiful romantic destination is very popular among the lovers. Cano Cristales is a Colombian river located in the province of Meta. The river is known as the “River of Five colors” owing to its ambient and striking colors. The river bed in July, right through to November is made up of various colors mainly yellow, blue, green, black and red. 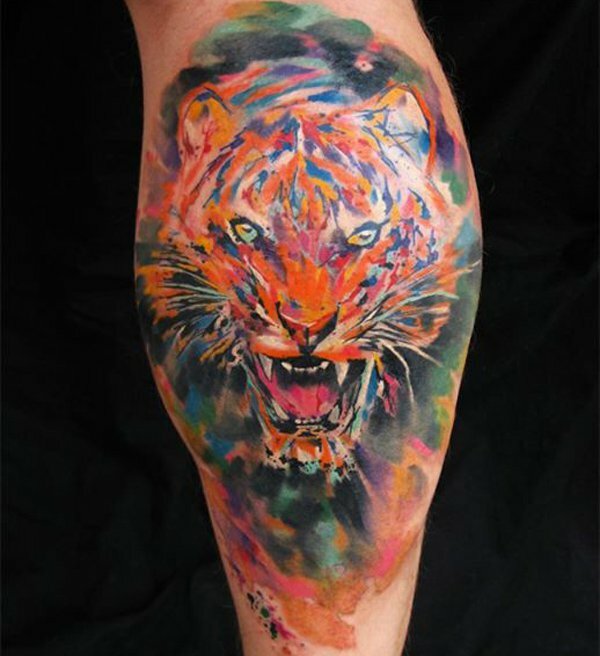 The vibrant explosion of color is only usually apparent during the months specified. Any other time of the year it may just look like an ordinary river. In between dry and wet seasons, a unique plant known as the Macarenia clavigera turns the river into a red stream which magnificently contrasts with the yellow and green sands. People who visit this place claim this as the most beautiful place in the world. The Richat structure is often referred to as the eye of the Sahara or even the eye of Africa. Situated in the Sahara desert, it is a large circular feature of approximately 50 kilometres in diameter and can be visible from afar. Arguments suggest that the origin is a geological dome that may have collapsed caused by uplifted rock and then further sculptured to the shape as is by erosion. Within the interior of the Richat structure are a huge variety of igneous rocks. These amazing places to visit list will be updated on a regular basis. Bookmark this page and stay connected. Please hit your comments and share your opinions by specifying the most beautiful places those touches your heart. As a resident of some particular place, you may know some beautiful places which are left out and worth adding to this list. In such case, feel free to write us on those places, we are happy to add them. The pink lake shown is not Lake Retba in Senegal, but rather Lake Hillier in Western Australia.